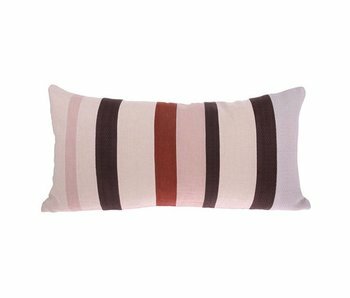 Beautiful HKliving pillow executed in different colors stripes. The pillow is made of linen with a jacquard weave and is 30x75cm in size. Equipped with inner lining. 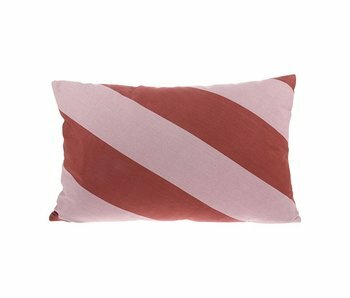 Beautiful HKliving pillow in red stripes. The pillow is made of cotton with a twil weave and is 40x60cm in size. Equipped with inner lining. 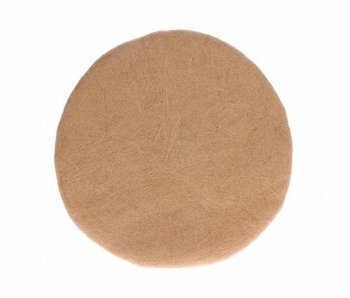 Beautiful HKliving seat cushion in the color caramel. The cushion has been specially developed for the HK-Living (bar) chairs. Made of felt and 35cm in diameter. Beautiful HKliving pillow executed in black. 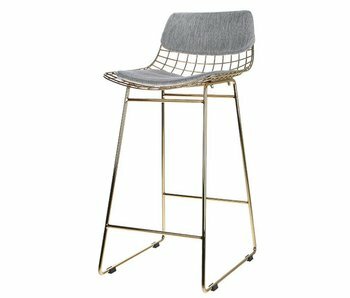 The cushion has been specially developed for the HK-Living metal bar stools. Comes without bar seat, it only concerns the pillow! Beautiful HKliving pillow executed in the color gray. 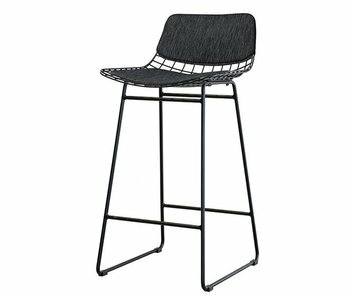 The cushion has been specially developed for the HK-Living metal bar stools. Comes without bar seat, it only concerns the pillow! Beautiful HKliving velvet cushion in the color green. The cushion has been specially developed for the HK-Living metal bar stools. Comes without bar seat, it only concerns the pillow! Beautiful HKliving pillow executed in black. The cushion has been specially developed for the HK-Living metal armchairs. Comes without chair, it only concerns the pillow! Beautiful HKliving pillow executed in black. 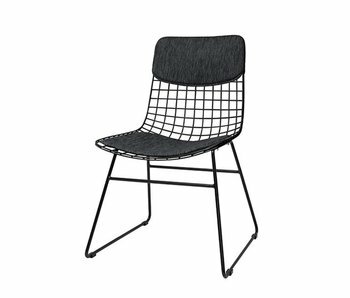 The cushion has been specially developed for HK-Living metal wire chairs. Comes without chair, it only concerns the pillow! Beautiful HKliving pillow executed in the color gray. The cushion has been specially developed for the HK-Living metal armchairs. Comes without chair, it only concerns the pillow! Beautiful HKliving pillow executed in the color gray. 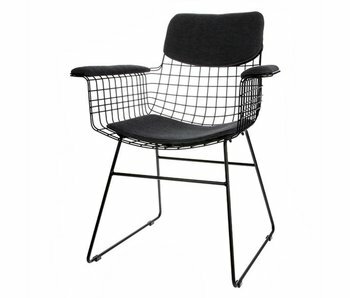 The cushion has been specially developed for HK-Living metal wire chairs. Comes without chair, it only concerns the pillow! Beautiful HKliving velvet cushion in the color green. The cushion has been specially developed for the HK-Living metal armchairs. Comes without chair, it only concerns the pillow! Beautiful HKliving velvet cushion in the color green. 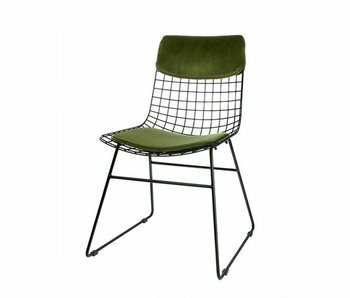 The cushion has been specially developed for HK-Living metal wire chairs. Comes without chair, it only concerns the pillow! This beautiful HKliving pillow is a true addition to your interior! This HKliving pillow is made of brown suede. Nice combined with the other HKliving cushions! This beautiful HKliving pillow is a true addition to your interior! 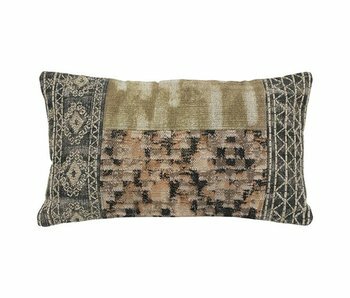 This HKliving pillow is made of woven wool with viscose. Nice combined with the other HKliving cushions! This beautiful HKliving pillow is a true addition to your interior! 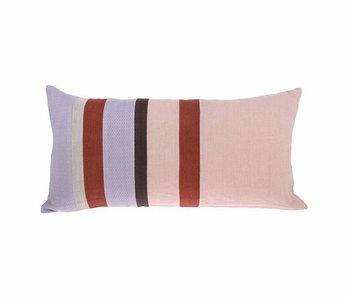 This HKliving cushion is made of a soft multicolour velvet fabric. Nice combined with the other HKliving cushions! This beautiful HKliving pillow is a true addition to your interior! This HKliving pillow with painted mountain print is printed on a linen fabric with two different sides. Nice combined with the other HKliving cushions! This beautiful HKliving pillow is a true addition to your interior! This HKliving pillow with fringes is made from a soft peach with a brown velvet fabric. Nice combined with the other HKliving cushions! This beautiful HKliving pillow is a true addition to your interior! This HKliving pillow with abstract print is printed on a linen fabric with two different sides. Nice combined with the other HKliving cushions! This beautiful HKliving pillow is a true addition to your interior! 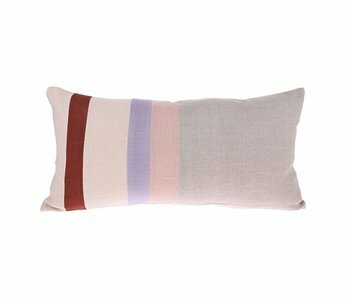 This HKliving pillow is made from a soft mint with cerise velvet fabric. Nice combined with the other HKliving cushions!